It seems Toyota have finally lost the plot and built a car that is a homage to Spongebob Squarepants. 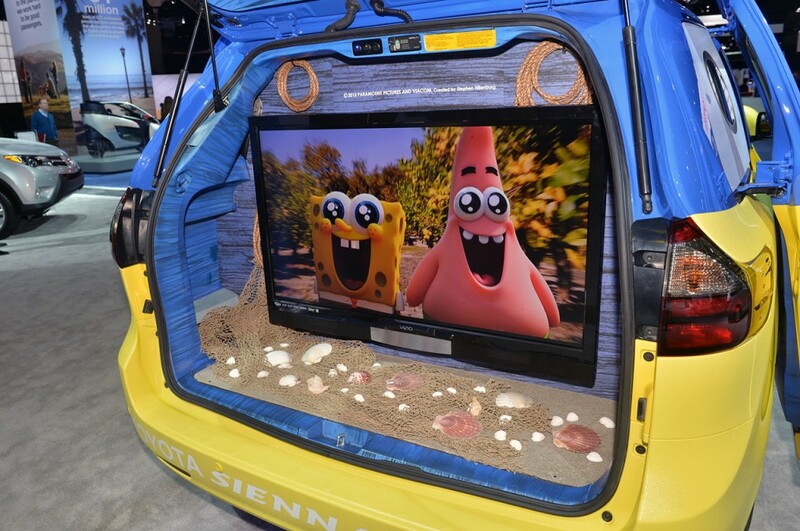 It has been revealed at the LA motor show and is essentially the 2015 Toyota Sienta with a Spongebob makeover. imagine if this was actually an optional bodykit for the car! The interior is very ‘unda da seaa’ and there are parts of it that just don’t seem at all practical, the steering wheel for a start, it doesn’t leave a lot, if any, room for your legs. You also wont be able to see much out of the front window. 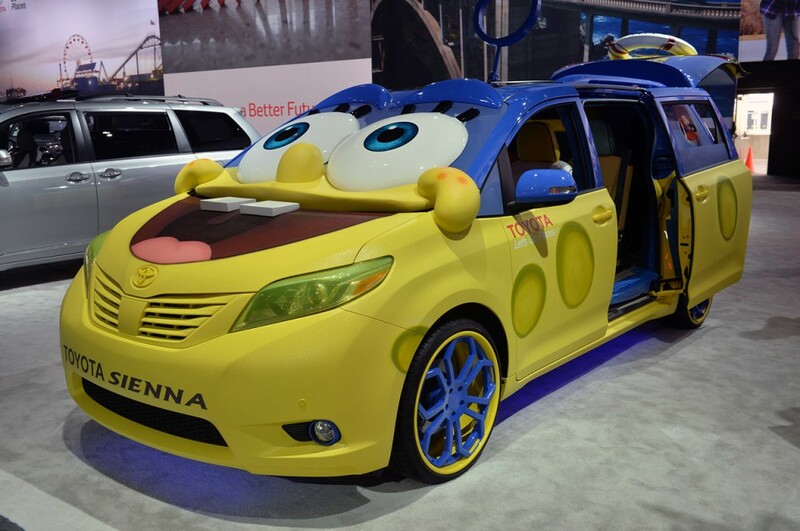 The purpose of this monstrosity is to help create a buzz for the new SpongeBob Movie: Sponge Out of Water, and it is what would happen if a toddler got a car on Pimp my Ride. Personally we think the Nissan Cube would have been better suited for the task, but hey, the Toyota Sienna has done a good job of it. The boot has also been converted into a mini cinema/beach so storage space could be an issue, but these set backs haven’t deterred the van from en devouring on a cross country journey for promotion of the film which is in theatres from February 6. One more thing, there is a functioning bubble blowing ring on the roof, and it looks like it would blow some pretty big bubbles.